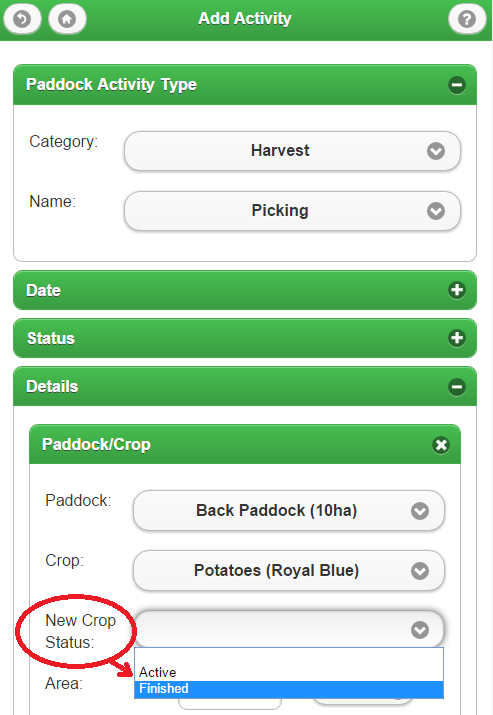 If you are recording an Application activity within Paddocks, you will be provided with a whole range of useful additional fields under the More Details section. For example: water rate, temperature, wind speed and direction. Do you ever have more to say??? 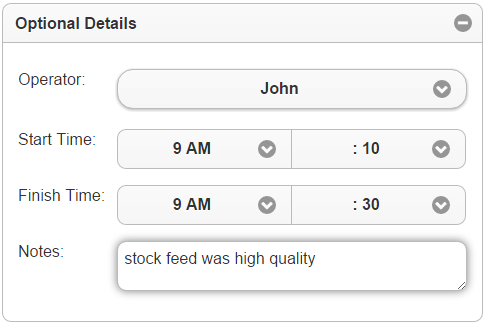 All Farmware activities include a space to record Optional Details, including operator, time spent, and general notes. Because we believe the more details you record at the time, the more useful your data will be to look back on! Did you know that Farmware allows users to maintain both perennial and annual crops? When performing cropping activities, you have the option to mark a crop as Finished, for example when harvesting wheat (where after harvest the plants are dead and finished). For perennial crops you don't want to finish a crop when you harvest, for example bananas, grapes or cherries. 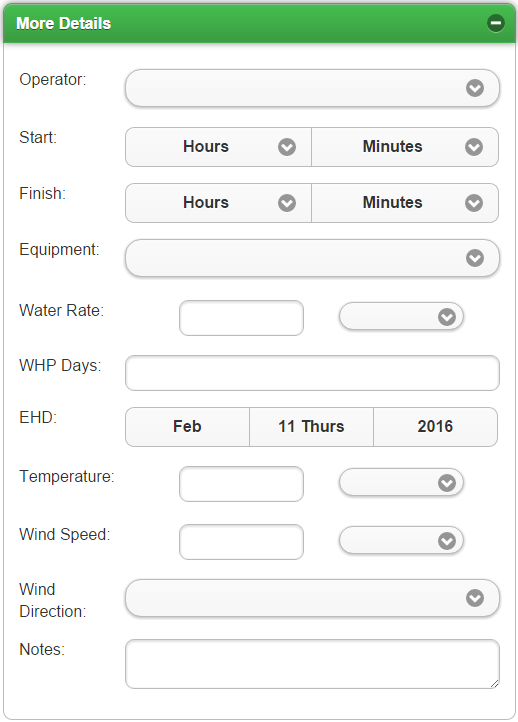 In this case set your crop status to Active when recording your harvest activity. 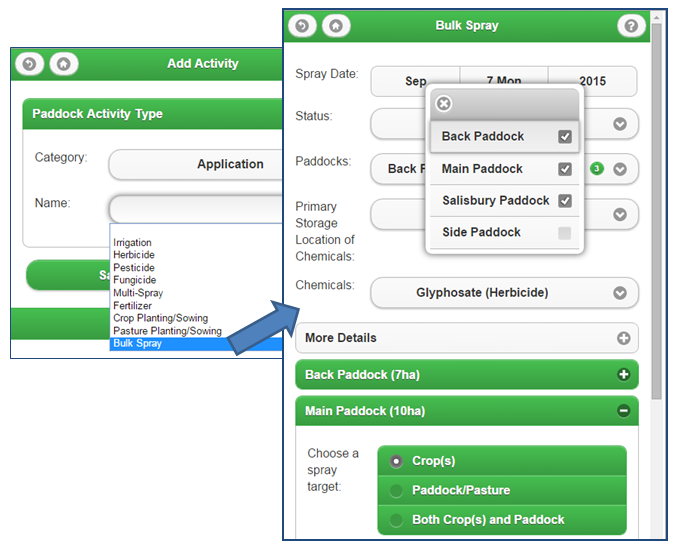 Bulk Spray is a great activity type for experienced Farmware users that need to record a number of chemical applications across a number of paddocks/crops all at once. It's much faster and can be particularly useful if you know the total amount of the chemicals that have been used, but need to apply a pro-rata rate to each paddock/crop based on its area. For example, you may combine a pesticide, a herbicide and a fungicide into a combination to load into your aerial sprayer which applies the chemical mixture to 7 paddocks at a consistent rate. This could take a while to record in Farmware if you used the normal multi-spray form, but with Bulk Spray you can select the 7 paddocks and 3 chemicals first and have Farmware perform the calculations based on the total of each chemical that you used. The main restriction in the Bulk Spray form is that you need to already have the Chemcals you are going to use entered into Farmware (this can be achieved via Settings > List Setup). If you wish to record spray targets (such as weeds) then these also need to have been entered before hand.